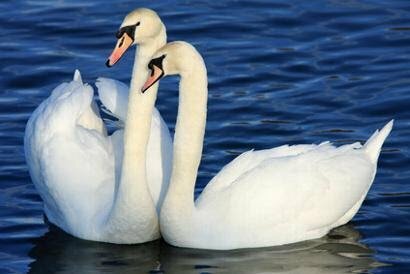 The Nassau County SPCA has released a template e-mail for New York residents who oppose the eradication of the mute swan population. Nassau county, NY - February 16, 2014 - The Nassau County SPCA is asking you to please copy, paste and email the following to fwwildlf@gw.dec.state.ny.us (type "Swan Plan" in the subject line). As a New York State resident, I strongly oppose the use of my taxpayer dollars to finance the systematic elimination of the mute swan as proposed in your agency's recently-released draft management plan for the species. This outline for "management" seeks complete and total decimation of the species by the year 2025. Regardless of whether this enchanting bird is indigenous to the United States or not, our state's population of mute swans peaked at more than 2,800 birds in 2002 and is currently estimated at about 2,200 swans statewide. Taken together with the agency's admitted inability to thoroughly quantify species' productivity, migration and survival rates, the draft plan is short-sighted, excessive and an unnecessary attack on a relatively stable mute swan population. The Bureau of Wildlife's December 2013 draft final report ("Status and Ecology of Mute Swans in New York State") also attempts to demonstrate the harmful environmental impact mute swans have in the three main regions where their numbers are greatest, yet relies solely on short-term, half-completed impact studies on submerged aquatic vegetation (SAV) to make that case. Similarly, attempts to demonstrate the swan population's impact on the state-protected black tern were inconclusive, and the study of impacts on other waterfowl seems without purpose other than demonstrating that Canada geese are the most likely wild target for aggressive behavior. Perhaps most egregious, however, is the Bureau of Wildlife's argument that aggressive mute swan behavior is also cause for its eradication. This implies that these majestic creatures that interact regularly with humans, waterfowl and other species are a grave public threat and somehow behave differently than other wild animals protecting their territory and offspring from danger. Swan attacks resulting in serious injury to humans are so rare and near physically impossible that the government risks insulting the public's collective intelligence by presenting this as a major reason for extermination. New York can and should do better than this for its taxpayers. I implore you to reconsider this deeply flawed 10-year plan and promote non-lethal, humane solutions wherever possible to preserve wildlife habitats and allow for healthy ecosystems. Subject: LongIsland.com - Your Name sent you Article details of "Nassau SPCA Campaigns Against Mute Swan Eradication"